Sticker illustrating a man in the 50s enjoying his meal. 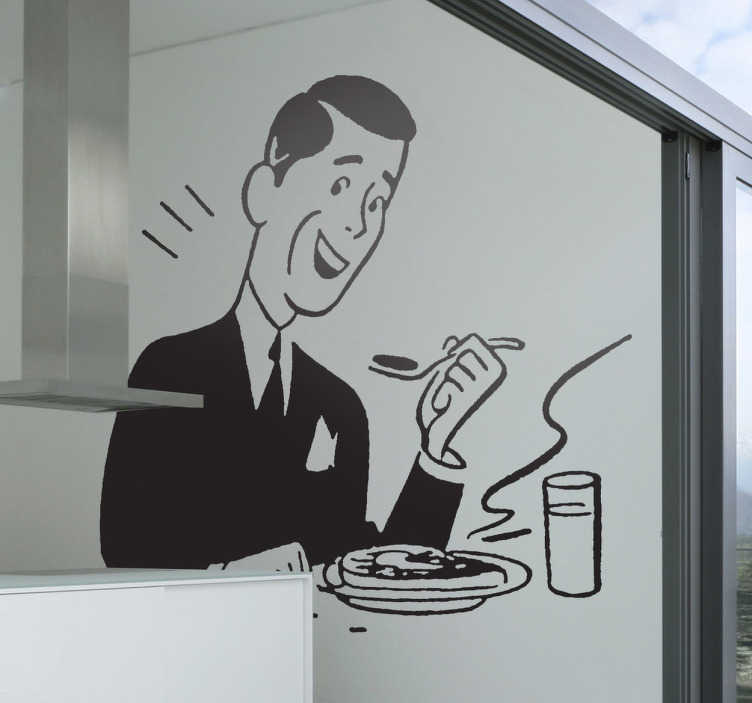 Fantastic decal to give your kitchen the decoration it needs. Creative sticker for your kitchen that will make you smile every time you see it. Make lunch and dinner fun to eat. This very happy design is not just a sticker that is there to look perfect in your kitchen but it spreads happiness with its contagious smile!